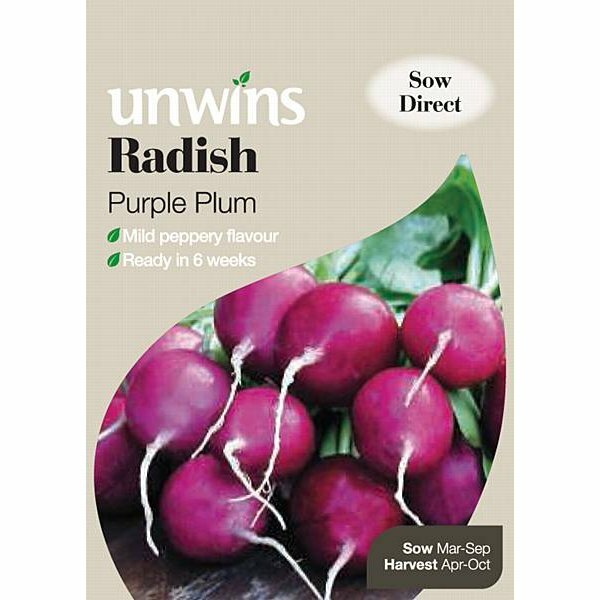 Pack of approx 800 seeds, suitable for sowing directly outdoors: March - September. 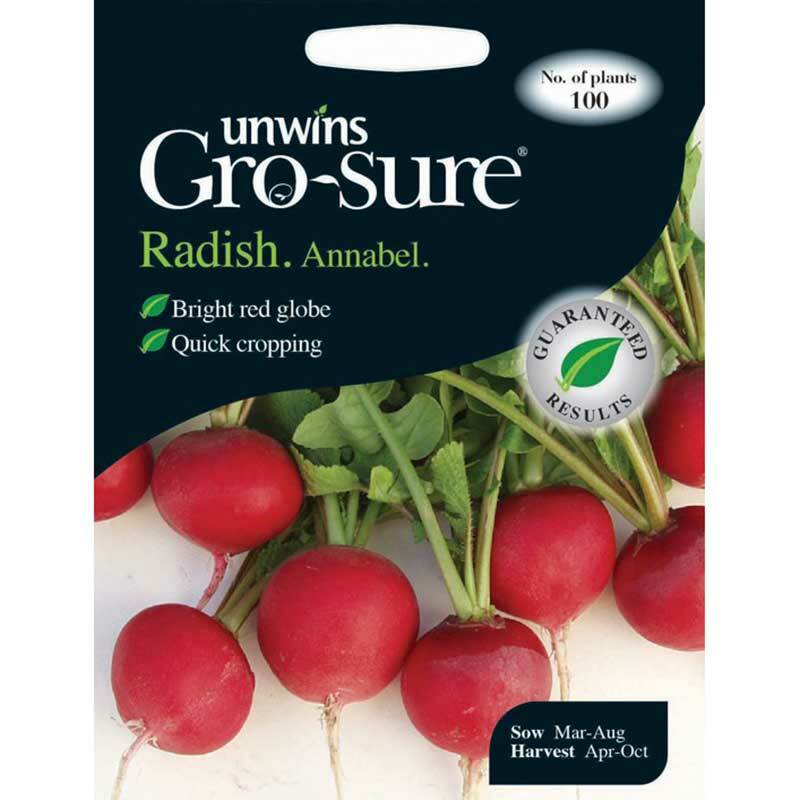 Quick cropping with peppery flavoured radishes. 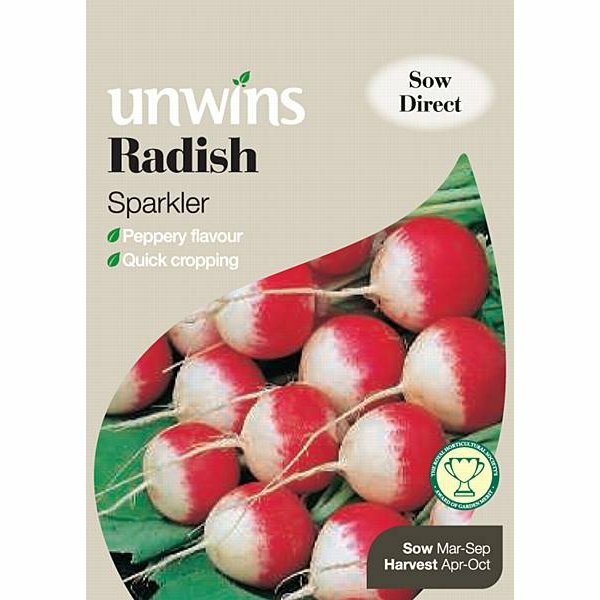 Sparkler is very much like a cross beween Scarlet Glove and Fench Breakfast. 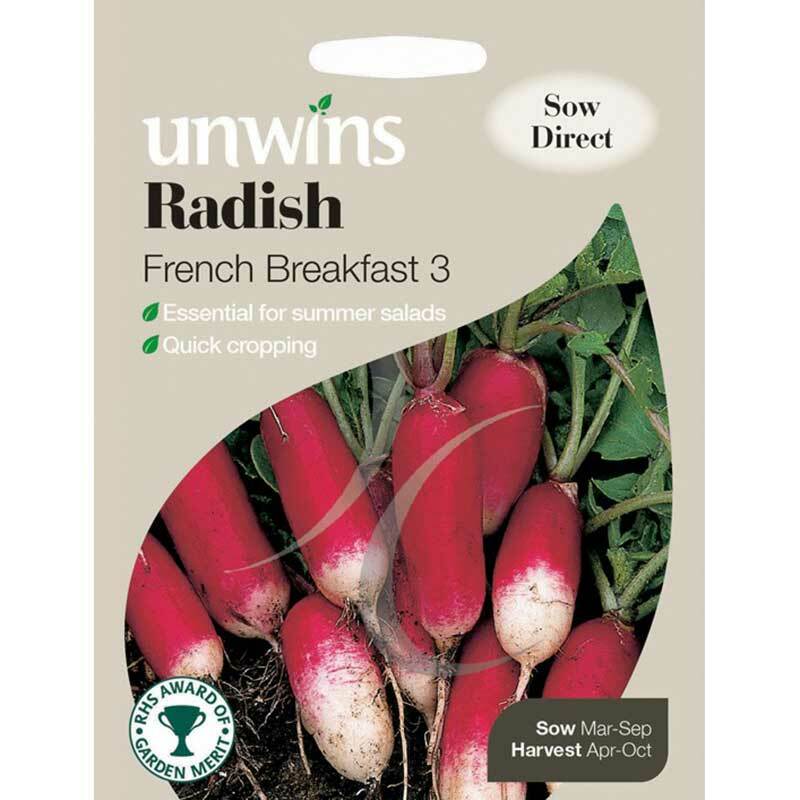 Very tasty and reliable and can be used in either summer salads or attactive as a garnish.